At the beginning of the year, major retailer JCPenney exploded back on the market with a completely revamped brand. Their new changes were ones to watch out for. With their new CEO, Ron Johnson, on their side (the man behind Apple's retail stores) JC Penney now has a new logo, Ellen Degeneres as their spokesperson, and a new pricing strategy. All this in a matter of two months. The company also now refers to itself as jcpenney. By keeping costs low with discounted prices up to 40% year round and scheduled releases for new merchandise, they intend to get customers coming in and more coming back. Shoppers can now find merchandise set up in shops rather than on racks and shelves. Even while there aren't that many ways of displaying merchandise, JC Penney is taking new approaches in retail innovation. 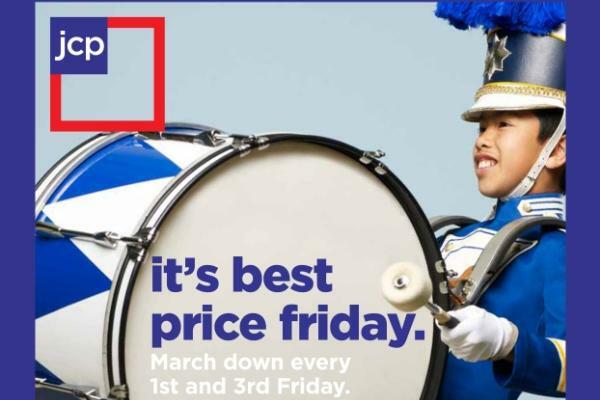 One noticeable change is the evocation of the American flag in its new logo meant to make a distinct impression and set it apart from other retailers. Their aim is to give customers a new kind of shopping experience that will bring them through the doors rather than taken to a website. According to Johnson, the company is channeling its efforts toward one core value: treating customers "fair and square." Most companies take years to implement big changes but JC Penney isn't wasting any time in doing the unconventional. When most companies would be taking baby steps and testing them out, JC Penney is launching their mission at full speed with all stores updated with the new initiatives by August 2012. Management anticipates a complete transformation by 2015. In the retail industry, these major changes can be seen as a breath of fresh air. JC Penney is showing that it isn't afriad to make daring, even risky, moves and it's proving to turn heads.